Pinterest is the startup that everyone is talking about (this is my second post about them this week) and the data in the infographic below tell you why. Their growth in traffic and time on site over the last ten months are incredible. Opinion is divided as to whether Pinterest will ultimately be a Myspace style fad or Facebook style piece of the furniture but it is easy to see why the bulls are excited and rumours are circulating that Pinterest may soon join AirBnB in the $1bn club. My favourite fact on this infographic is that venture capital is the top interest on Pinterest in the UK. Either Dragon’s Den has captivated the nation’s imagination to a greater extent than I had realised or their traffic here is small enough to be dominated by curious investors. The news is out today that the seven Harry Potter titles have become available as ebooks for the first time. The interesting thing is that whilst the books can only be bought from Pottermore (JK Rowling’s publishing company) they will work on Amazon’s Kindle, Barnes & Noble’s Nook, Google Play and most other popular ebook readers. For a long time I have thought this ‘artist sells direct to end user’ model is the most obvious and efficient way to structure the value chain for all content types in the internet era. Prior to the internet gatekeepers were required to manage the limited distribution platforms and provide working capital to various different players in the ecosystem. Those functions are now redundant and there is no longer a need for gatekeepers of any sort. The gatekeepers we have today exist because they have worked their way into being gatekeepers, rather than because the gatekeeper function is in itself important. Many of today’s gatekeepers have been gatekeepers for years and these businesses have simply managed to protect their existing positions, although they are all getting weaker. Good examples are TV companies like ITV, Sky and Comcast, record labels like Universal and EMI, newspapers like The Guardian and The Daily Mail, and publishers like Penguin and Random House. Some of todays gatekeepers are new, and they have leveraged innovations and control of adjacent markets to become gatekeepers. Good examples are Amazon with the Kindle, Apple with the App Store, Google with Play, and maybe Facebook in the future. 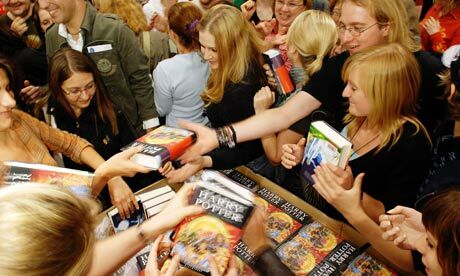 JK Rowling was able to leverage her popularity as an artist and force Amazon, Barnes & Noble, and others to relinquish control over their ebook reader platforms and let her sell direct. This is analogous to decisions by Madonna and other popular music stars to bypass record labels and organise their own concerts and music distribution. My hope is that competition between different distribution platforms will increase across movies, books, TV and music, and that more and less powerful artists will be able to sell direct. The gatekeepers are taking more money out of the ecosystem than they deserve and the more they are bypassed the more money artists will make and the more our creative industries will flourish. Note that most artists will still need the help with marketing and distribution that the gatekeepers have typically provided. The difference is that they will get it from agency style talent management businesses who get paid according to how much they help instead of demanding exorbitant fees simply to open the gate. LiveNation, Simon Cowell’s Syco, and Simon Fuller’s 19 are all talent management businesses in this mould. The biggest obstacles to this vision are rights management and financing of production. The former is solvable through technology and there are a multitude of potential solutions to the latter, not least crowdfunding so I’m hopeful we will get there. It will take a while though. I just saw this very interesting picture on Pinterest. It was followed by reams of comments (from other Pinterest users) saying how true and funny it was. I’m still working through what it means, but I wonder if it talks to something fundamental about life and what sort of people enjoy using Pinterest and Facebook. Specifically, I wonder if Pinterest is a place where people go to escape from real life whereas Facebook is real life, or in more detail, Pinterest is a happy place where people go to dream and have pleasant but ultimately shallow interactions with people they don’t know, whereas people go to Facebook to play out their real relationships, with all the good and bad that entails. For those that don’t know, Pinterest is the hot social media story of the last year or so and is now the 57th most popular site on the web. Bloomberg reported last week on a study by IHS Screen Digest which found that in the US legal online viewings of films will hit 3.4bn this year, up from 1.4bn in 2011, whilst viewings from DVDs and Blue-ray discs will shrink to 2.4bn from 2.6bn. The shift from physical do digital usually shrinks markets – look at what Wikipedia did to the encyclopedia market – but that doesn’t seem to be the case here, at least for 2012. IHS also found that the average payment for an online movie was 51 cents (typically as part of an all you can eat subscription service) whilst physically purchased videos came in at $4.72. Multiplying these numbers by the predicted online viewings shows that in spite of the big difference in price the growth in online will more than offset the decline in physical, and the overall spend on movies will actually increase slightly ($76m, 0.6%). Falling prices will inevitably lead to increased consumption of movies, and I suspect that is part of the reason behind the rapid growth in online viewings, and the market is now in transition to a new equilibrium and it will be interesting to see where the market size comes out. If the current prices are maintained then unless we all watch 10x as many movies the market will shrink. I don’t think there are enough hours in the day for that. If we all watch twice as many movies the implication is that the market will contract by a scary ~80%. For a while now I’ve been saying that large indigenous tech companies are a vital component of a healthy startup ecosystem. Large companies are important sources of entrepreneurs, executives that can help startups grow, partnerships, and exits and all these functions come from human relationships and work better locally. Smart companies like Google and Facebook recognise the value that comes to them from working with startups around the world and have made strong efforts to forge local relationships at distance from their headquarters, but whilst this lessens the impact of distance from the HQ, it doesn’t remove it, and most large companies don’t have comparable programmes. Reading about the JOBS Act this morning I learned of another reason why we need to build more large European companies: it is good for employment. According to the National Venture Capital Association (of America) ninety-two percent of job creation comes after IPO. From a European perspective the important point here is that most acquisitions are made by US companies, and after that local job creation generally dwindles. Sometimes that is because the acquired business becomes core to the acquirer and new people are mostly hired in the US and other times it is because the acquisition goes badly and the acquired business withers. The good news is that we are doing better and better at this in Europe. We now have a small but growing list of large public tech businesses in Europe, including ARM, CSR, Abcam, Betfair and QliqTech. We still have some way to go though. That said, I don’t think there is a silver bullet that will enable us to quickly double the size of this list. Building an ecosystem takes time, and this is one component that can’t be hurried. It is tempting to say that European entrepreneurs and VCs should hold their nerve and not sell out to US acquirers but that ignores another greater imperative – the need to show success and get more money flowing into the local startup ecosystem, both from angels and LPs. Whilst at the margin it might be true that we could collectively build our companies for longer before selling most everyone I know would love to be involved in a billion dollar IPO, and they only sell out before then when in their assessment it is the right risk weighted thing to do. For every company I know that looks like it might have been sold too early there are others where it looks like the timing was impeccable from a valuation maximisation perspective, and there are others still which turned down high offers and later sold for a fraction of what they might have achieved. The one thing that is making a difference in the short term is the greater availability of late stage finance from companies like DST, Oak and Tiger Global. Their investments in companies like Spotify, Wonga and Zalando is providing an increasingly important alternative to M&A for European companies that aren’t ready to IPO. There is an excellent post on Gizmodo today which describes Google’s competitive challenges and describes why their responses have been problematic. In the end it comes down to trust. In the early days we trusted Google because they said they weren’t evil, they seemed to back that up by acting in our interest, and (crucially) the data we were trusting then with wasn’t that significant. Fast forward to 2012 and Google is asking for much more trust so they can deliver a more personalised service but has undermined our trust by not being straight with us on a number of occasions. Picture this scenario. You are about to leave San Francisco to drive to Lake Tahoe for a weekend of skiing, so you fire up your Android handset and ask it "what’s the best restaurant between here and Lake Tahoe?" It’s an incredibly complex and subjective query. But Google wants to be able to answer it anyway. (This was an actual example given to me by Google.) To provide one, it needs to know things about you. A lot of things. A staggering number of things. To start with, it needs to know where you are. Then there is the question of your route—are you taking 80 up to the north side of the lake, or will you take 50 and the southern route? It needs to know what you like. So it will look to the restaurants you’ve frequented in the past and what you’ve thought of them. It may want to know who is in the car with you—your vegan roommates?—and see their dining and review history as well. It would be helpful to see what kind of restaurants you’ve sought out before. It may look at your Web browsing habits to see what kind of sites you frequent. It wants to know which places your wider circle of friends have recommended. But of course, similar tastes may not mean similar budgets, so it could need to take a look at your spending history. It may look to the types of instructional cooking videos you’ve viewed or the recipes found in your browsing history. Google subverted mobile Safari’s default protections to track users in ways they did not agree to be tracked. And lied about it, as the Wall Street Journal reported: "The findings appeared to contradict some of Google’s own instructions to Safari users on how to avoid tracking." Google began promoting its own products in search over more obviously relevant ones. It placed Google+ profiles above those that are obviously more relevant on other social networks. Its Places frequently appear above the actual location listings. Google has increasingly given prominence to ads over results. If you use an 11" Macbook Air, for example, and search for a generalized term like "music" your small screen will be full of ads—you will have to scroll to find search results. Google falsely claimed it couldn’t effectively index and rank Twitter. Google illegally accepted ads for Canadian pharmacies with the purpose of delivering them to American users. Google seems to have committed overt fraud in Kenya. I can’t see them regaining the trust they had before. Whereas once they seemed to be a genuinely different sort of company those days are over. Going forward they will be expected to act in their own interests and not ours. The million dollar question (probably more like a $100bn question) is whether their personalised search products will be good enough that we all decide to let them have our personal data even though we don’t trust them. That same question also applies to Apple and Facebook. Last week I got a new Samsung laptop. You can see it to the right of the picture above. I like working with two monitors on my desktop and my previous Dell based setup isn’t compatible with Samsung. It just so happens that DisplayLink, one of our portfolio companies makes chips that power multiple displays so I thought I would try them out. DisplayLink makes chips and partners with companies that make the consumer propducts (partners include HP, Fujitsu, Toshiba, Lenovo and ASUS). A bit of research revealed that the DisplayLink powered Targus USB 3.0 Dual Video Docking Station is the most appropriate device for me. It was released in the US last November and isn’t yet available in the UK, but the folk at DisplayLink kindly brought one over for me, and I got it today. [Update: I’ve just learned that the Targus dock should come to the UK next month.] You can see my new setup in the picture above. About half of the Targus docking station is visible, circled in white next to the laptop. The white sticker you can see tells me that the device is ‘DisplayLink certified’. The setup was pretty easy. I had to download a driver from the DisplayLink website but other than that it was plug and play. I really wasn’t sure that connecting to two monitors, a keyboard, a mouse, and a set of headphones via a single USB port would work, but it turned out fine. The laptop found the external displays and worked out the appropriate screen resolutions no problem. I played with the settings, identifying the monitor on the left as the main monitor and making it so that when I moved the cursor off the side of a display it came up on an adjacent screen, and was pleased to see the system remembered when I disconnected the laptop from the docking station and then reconnected. So far this setup works better than my previous arrangement which would usually make me open and close the lid of my laptop a few times before it would work properly and sometimes refused to work at all without a full restart. The Targus is a nice looking piece of kit too. 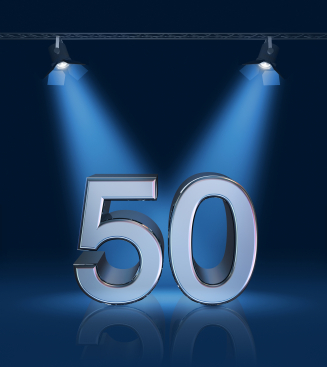 Fiftieth in a series of weekly posts by myself and Nicholas Lovell of Gamesbrief which answer the fifty questions you should ask before raising venture capital. We expect the series to run for a year after which we will collate the posts into a book. You can find the rationale behind the series here, and the list of questions here. We welcome your comments on any and every aspect of what we are doing. If you are an entrepreneur who is raising money you should talk with multiple VCs, simple as that. To do otherwise would be crazy. No individual VC can be guaranteed to invest and having some competition in the deal will cause most investors to move faster, and it may make them offer better terms. Talking to multiple VCs will also help hone the pitch and may generate feedback and contacts that are useful for your business. I don’t think we have made an investment recently where the company hasn’t talked with other VCs, and if we were to find ourselves doing so I think we would want to know there was a good reason why not. So creating some level of competition between VCs is a good idea. The more interesting question is ‘how much?’. The following advice is for the average company that is successful in raising venture. Super hot companies can keep more funds in competition with less work, and should maybe do so, and companies that find it hard to raise venture will probably need to talk with many more VCs, and may struggle to get any competition going. The first decision to make is how many VCs you should talk with. I would say at least four or five, and more if you don’t feel sure that at least one of the top four or five on your list is likely to want to invest. Once you get past the second or third meeting I would narrow down the field to three or four. More than that will leave you no time to run your business. Then when discussions get serious I would narrow down to a preferred partner and keep a second investor warm. There is no need to turn anybody off at this stage, simply progress investors at different speeds. Don’t over-play the competitive card until the VC is emotionally bought into the deal. It is never too early to let it drop in conversation that you are talking with other investors, but going too far too early will cause people to prioritise other deals. Maintain your integrity – taking an investment is the start of a long relationship and if you undermine trust by over-stating the competition or sharing information you shouldn’t then you risk losing the deal altogether. The final, and most difficult question, is how much information about a conversation with one VC you should share with other VCs. At the early stages of your conversations it is OK to talk in generalities about the level of interest you have and the sort of deal you are hoping to get, but if you share specifics about individual funds and especially the terms they might offer you will come across as loose tongued. As you build trust with a potential investor and they start to show a real desire for the deal it is common to give more explicit guidance about the terms that they will need to offer to win the deal, particularly to your preferred investor. At this stage some entrepreneurs share the names of the funds they are talking with, particularly if they have had conversations with any of the top firms. I think that can be OK if it is done in the right way, although you then risk the parties talking with each other. Sharing specifics about the deal that a VC is offering you is almost certainly going too far. Offers are made in confidence and that should be respected. Lastly, once you have signed a termsheet with a VC you have made an in-principle decision to go with your chosen partner and the right thing to do from a moral and most likely legal perspective is to end all your other conversations. Yesterday Amazon announced the $775m acquisition of robotics group Kiva Systems. These squat orange robots automate part of the shelf picking process for ecommerce companies. Instead of the workers walking to the shelves, the robots bring the shelves to the workers who then stay in the same place. With a robotics system in place one human can do the work that would have taken six previously. It turns out that shelf pickers do a lot of walking – up to 20 miles per day in Amazon’s warehouses. There is more detail in the video above. If you like robots you will enjoy this video, and if you don’t like robots you should watch it anyway. The humans and robots work together in a nice co-operation. We will see more and more of this type of co-operation. My guess is that this is another phenomenally aggressive move by Amazon. They have brought significant extra complexity into their business and will now have to learn how to manage a robotics company on top of all their other disparate businesses, and the only reason to take on that complexity is to crush the competition. It makes me wonder where they will go next. Perhaps they will buy Fedex…..
Everybody answers to somebody, Nic Brisbourne reminds us. What happens when VCs are hauled into the boardroom to justify their investment decisions? I’m just back from our semi-annual update to the LPs in one of our funds, and I thought I would share the experience with you all. As a reminder, LPs, or limited partners, are the investors in venture capital funds. They are typically pension funds, insurance companies or specialist investment houses known as FOFs (“fund of funds”). These meetings are the equivalent of board meetings for our portfolio companies. We have around a dozen LP update meetings a year across our four funds and they are the most important moments of contact we have with our investors. My hope is that the following description of the meeting will help explain the information we request from startups and the pressures we sometimes find ourselves under which we then have to pass on to our portfolio companies. The agenda at the meeting today was similar to the usual agenda and I’ll go through each of the four items. We see our LPs relatively infrequently; they each look after interests in a large number of venture capital and private equity funds, and they occasionally shift responsibility for looking after our fund to new people, so we always begin by reminding them of who we are, why we are special, and our investment strategy. Then we update them on how we are doing compared with our peers and on any changes to personnel and our funds under management. Having set the scene about us, we go on to provide data on the market as context for the performance of our funds. One of our slides today showed VC exits over $100 million since 1996, split between the US and Europe. The data shows that there were over 150 such exits for US companies, up from around 100 per year in the previous peak in 2005-2007, whereas Europe has yet to exceed the 40 or so deals at this level we were seeing at that time. We were seeking to make the point that our recent good run of exits was impressive, given that we are based in Europe, and that the high level of US deals last year bodes well for Europe going forward, provided the macro-economic picture holds. This is the longest and most important agenda item. We present the performance of the overall fund and comment on changes since last time, with a particular focus on changes to the value at which we are holding our investments. Then we talk through the key portfolio companies in some detail. We typically focus on the top half-dozen by holding value and the partner responsible for each of these assets presents a couple of slides covering what the business does, why it is important, how the company has been performing and the likely timing and value of the exit. Having been pretty quiet for the first couple of agenda items, the LPs typically spring to life with questions during the portfolio update. They are keen to make sure they fully understand any changes in fund performance and our plans for the key assets. There are strong parallels between the way we present our portfolio and the way our portfolio companies present their revenue projections and pipeline at board meetings. It is during these sessions that confidence in the future is built or destroyed, and credibility as a manager is won or lost. They are hugely important for us, as the LPs in our current fund are the best prospects we have to be LPs in our next fund. We are therefore prudent about setting expectations, including for individual portfolio companies, but having set expectations it becomes very important that we meet or exceed them. In this section we discuss any pending changes to the firm that our LPs need to be aware of – and, in some cases, approve. For example DFJ Esprit’s merger with Tempo Capital that was, by coincidence, announced today, was discussed under this agenda item in a previous meeting. Fund extensions and annexes are also discussed here. I hope this gives you some insight into a little talked-about aspect of life as a VC. In particular, I hope it comes across that VC partners have to stand up and make commitments about the performance of the companies they have invested in. When working with portfolio companies our primary motivation is to help them be as successful as possible. The quality of data and the accuracy of projections that we report back to our LPs is an important secondary consideration, but, at the end of the day, it is results that count.